ACP Now! 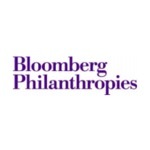 » Uncategorized ACP Now! Here's an incredible list of exhibitions from SCAD students coming this Spring, primarily at Garcia/Wilburn Gallery at TULA. The LAST CHANCE to submit is Wednesday, March 27, 11:59 PST ($45/series) There will be no extensions and no exceptions after this time. Calling all photographers! The largest outdoor photo exhibition in N. America is coming back to Atlanta. 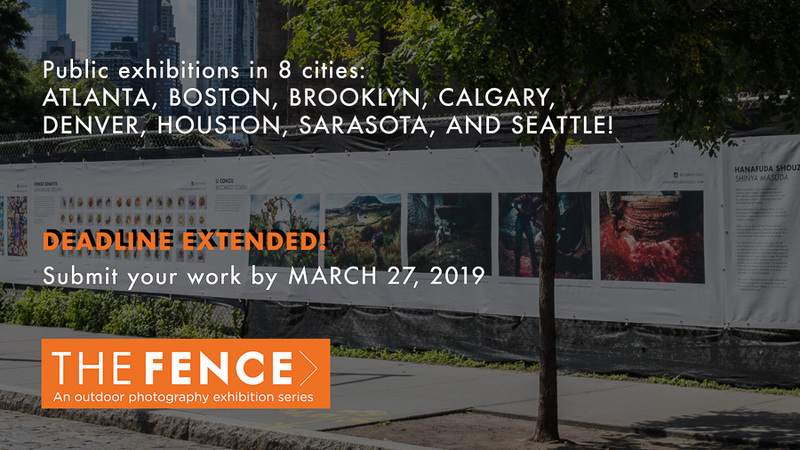 Don't miss your chance to exhibit your work in Atlanta + 7 major cities. 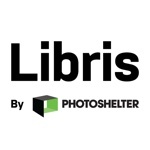 Additional prizes include a solo exhibition at Photoville, a $5000 cash project support grant, a Leica camera and Leica Akademie masterclass. 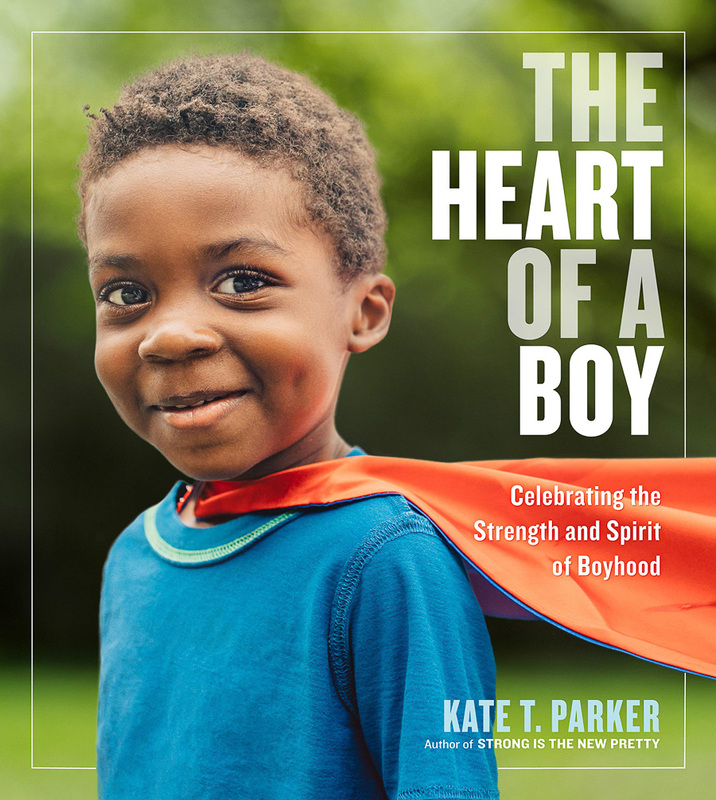 Atlanta-based photographer Kate T. Parker has a new book (about boys!) coming out this spring with an event on April 7th at Mason Fine Art. Image above linked to Amazon, or call Little Shop of Stories at (404) 373-6300! "Man up. Boys don’t cry. Tough it out. These are phrases virtually every boy hears at some point during his life. For generations, we have taught our boys the most important trait they can have is to be stoic and unemotional—and traits that do not fit that mold should be suppressed. THE HEART OF A BOY challenges this notion. Filled with powerful, moving photographs accompanied by thoughtful quotes from each subject, it celebrates the the many ways there are to be a boy - the sensitive and the strong, the creative and the silly, the kind and the curious. Meet Mason, age 6, who pronounces “I like to try new things. I believe in myself.” Matias, age 9, who exclaims “It’s not about what you look like, it’s about your heart.” And Ryan, age 7, who says “I want to be president because I am helpful, kind, and nice." After seeing Google's promotion today of Jacqui Kenny's @streetview.portraits project, we wrote a little bit about Street View-based photography projects, and discovered two projects that used the exact same screen-grab. Atlanta-based photographer Mary Anne Mitchell has an exhibition opening in Florida on May 23rd at Holzhauer Gallery. In the Holzhauer Gallery will be Meet Me in My Dreams, an exhibition of works by Mary Anne Mitchell, an Atlanta-based Artist. Meet Me in My Dreams explores the relationship between visual art and the written word through original poetry and a collection of photographs. Mitchell creates her images using long exposures, wet plate collodion, and digital scanning. Wet plate collodion involves preparing a glass plate with collodion (a chemical solution) and shooting the photograph directly onto the plate. 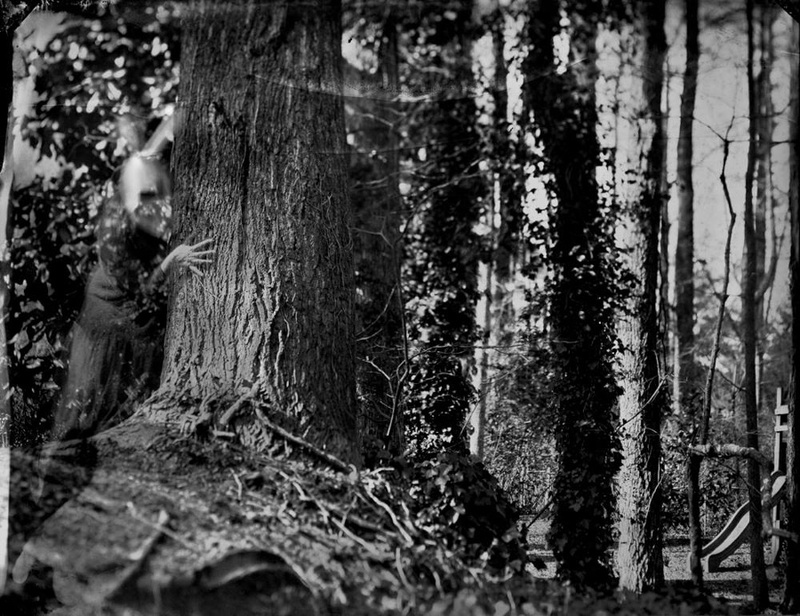 The process was developed in the 1850s and quickly became popular because it produced a multi-use glass negative; it remained the primary means of photography through the 1880s. Mitchell uses this traditional process to shoot long-exposure photographs that create movement and give the images an ethereal atmosphere. She then scans these plates and prints them on a larger scale to intensify the organic characteristics inherent in the process. The exhibition of Mitchell’s black-and-white dreamscapes will include both plates and prints. Visitors to the Holzhauer Gallery will even have the opportunity to experience Mitchell’s work as one might have in the 19th century: included in the exhibition are several stereoscopic viewers through which the photographs can be experienced in three dimensions. Mary Anne Mitchell is an Atlanta-based artist whose work is derived from her experiences and visual dreams that move her to create. The images depict situations, often mysterious, which draw the viewer into a narrative. Mitchell’s work, primarily photographs shot using traditional black-and-white processes, has been exhibited in solo and group exhibitions across the United States. Her art can be found in private and corporate collections across the US and Canada. Meet Me in My Dreams will conclude with a Closing Reception on Saturday, July 16, 6-7:30 pm, where visitors can meet the artist. The Mattie Kelly Arts Center Galleries are open Monday through Friday, 10 AM – 4 PM, and 90 minutes prior to curtain during NWF State College’s summer musical, A Funny Thing Happened on the Way to the Forum. The Galleries are always free and open to the public." 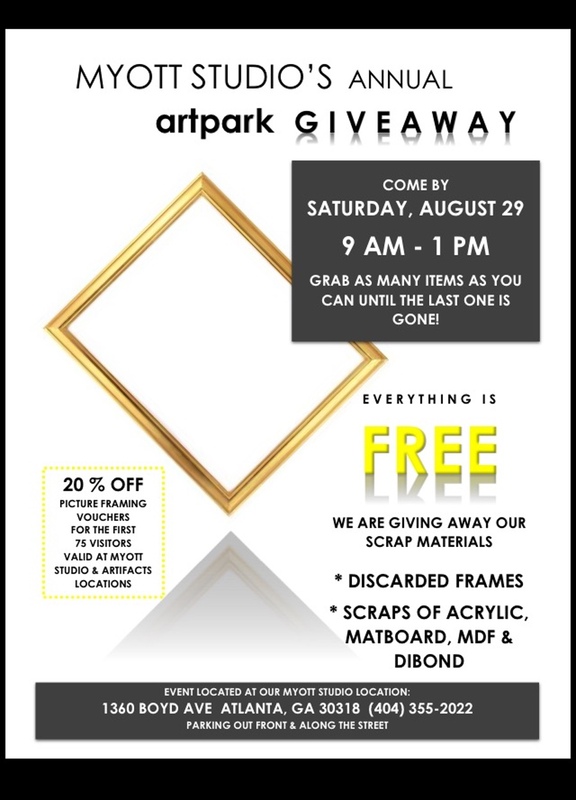 Come by or tell all your artist friends or anyone creative about our artpark Open House Scrap and Discarded Frame Giveaway on Saturday, August 29th, 9:00am - 1:00pm. Help us reduce clutter by taking away old frames and finding new homes for them. All old frames and scraps are FREE and there is no limit to what you can take. We will have scraps of Matboard, Acrylic, MDF & Dibond. Hope to see you there - See attached info for more details! Atl-based photographer Chip Simone has launched an "Advanced Photography Seminar" that's definitely worth a look if you're looking to develop and further your photographic efforts. "The Advanced Photography Seminar is an eight-week mentoring program for emerging photographers who are serious about nurturing their personal vision. It is directed by Atlanta photographer Chip Simone, a prominent member of the Atlanta photography community for more than 40 years." As we ramp-up to the ACP Photography Auction next Friday, and while bidding's open on the live auction items over on Paddle8, we wanted to introduce you to the artists included in Ones2Watch, the silent auction portion of the evening, curated by Mary Stanley Studio. Niv Rozenberg is a Brooklyn based photographer originally from Israel. He holds an MFA in Photography from Parsons, The New School for Design, and is a former recipient of the America-Israel Cultural Foundation scholarship. Recent exhibitions include a solo exhibition at Simon/Neuman² Gallery in Brooklyn, NY, and the 2014 BRIC Biennial. Recent commissions include the Frieze Art Fair New York Campaign. His work has been published in The New York Times, The New Yorker, Tel-Avivian, Greenpointers, among others. Niv uses photography and digital manipulation to explore complexities within the urban environment, emphasizing the tension between form and function to create a new reality. "My work explores complexities within the urban environment, by focusing on the essential large-scale and unavoidable congestion. 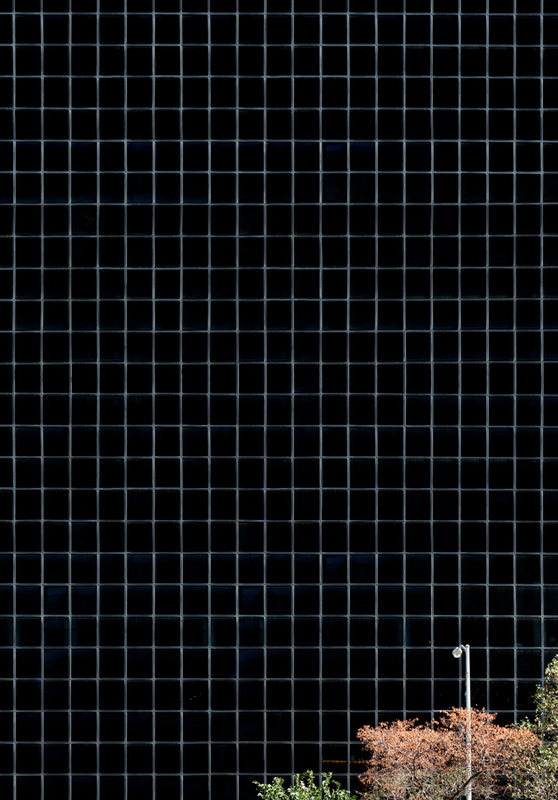 In Automonuments I use photography and digital manipulation in order to isolate visual perspectives of high-rise buildings mainly in New York City. This exaggerated view allows me to break the visual and spatial congestion of the city by creating an archetypal form, isolated from function and separated from the city’s total urban structure. Duplicating and stitching one level of a building to another emphasizes the tension between form and function as well as between the individual and the global. This work does not document reality but reconstructs it, creating a view that cannot be seen, an intensification of reality." 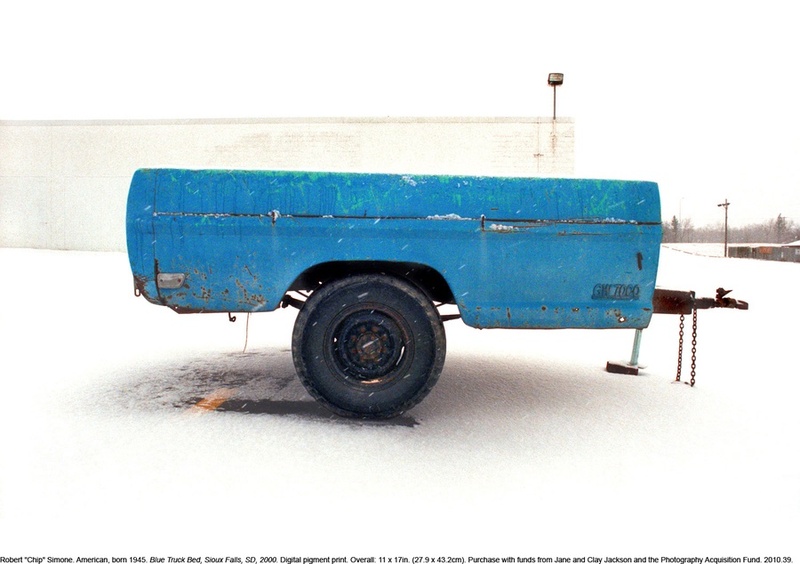 Preview the ACP Photography Auction on Paddle8! If you haven't yet picked-up your tickets for the ACP Photography Auction, you might enjoy a preview of the live auction, currently available on Paddle8. Online bidding (a new thing for us!) will be available on Oct. 2nd. Stay-tuned! ACP Photography Auction – Buy Tickets Now!